Let's Talk About: A ban on motorcycles? Bounty is scheduled to perform at a free concert being staged by the Gender Ministry in recognition of International Women’s Day 2017 at Emancipation Park. The concert will follow a march against domestic abuse and gender based violence which has been plaguing the island recently. In a release, the ministry said Bounty, whose real name is Rodney Pryce, "has a special message against domestic violence". However, several influential women and groups have blasted the organisers for including the deejay on the lineup due to previous allegations of domestic abuse made against the entertainer who is also known as the 'warlord'. 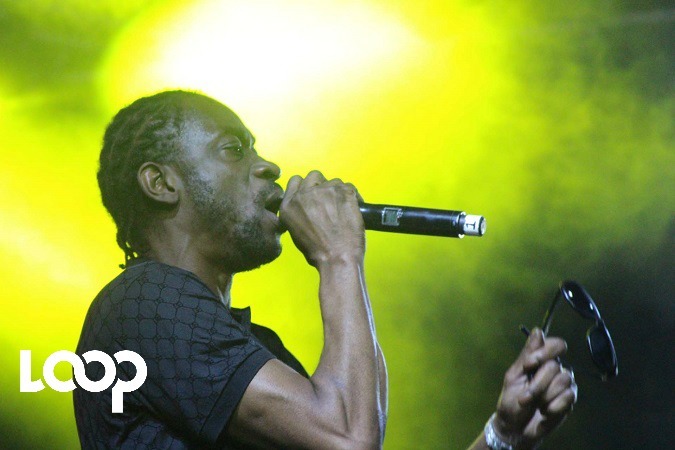 Women Empowerment (WE) -Change argued that Bounty was a known perpetrator of violence against women - a claim which the deejay has refuted - and demanded that the deejay be removed from the lineup. Sexologist Shelly-Ann Weeks described the move as a "very bad idea" and said Gender Minister Olivia "Babsy" Grange should have known better. However, Bounty hit back on Wednesday, noting that he was never convicted of any domestic abuse charge and saying that he is a changed man. "What I am attempting to do here is to show that I (have) changed, grown and matured into a better me and I do regret my alleged involvement or whatever which I'm still paying for, up until this day as u all can see, but I condemn domestic violence - It's wrong, It's totally unacceptable," Bounty said in an Instagram post. Bounty was infamously accused of using a hammer to beat his girlfriend, Racquel Smith. However, the case was dismissed after the complainant and her attorney failed to show up for trial. He added that there was no better platform for him to apologise to women who he may have hurt in the past, and told his critics to stop the "finger pointing" and unite in support of women. Bounty later, in celebration of International Women's Day, described females as God's greatest creation. "Women is the greatest thing God ever put on the land ... some man say dem a gallis or dem love woman and not Celebrating this Day dem mussi mad," he said. See full unedited text of Bounty's post dismissing his critis below. grunggaadzilla@drsexxyann listen to what jesus mother mary has to say bcuz she was born a saint has never sined never did anything wrong in her whole life time or ever been forgiven b4 but I guess she is just another silly attention seeking clown bcuz she said it her self that it was Allegations and what does Allegations means Maybe So or Maybe Not plus i was clared of all charges so what grounds is she speaking from and the very same thing WeChange trying achieve these ppl objecting Change what am i attempting to do here to show that i'm changed grown and matured into a better me and i do regret for my alleged involvement or whatever which I'm still paying for up until this day as u all can see but I condemns domestic violence it's wrong it's totally unacceptable and it's a disease or merely weakness we do make mistakes in life but then again I think it was about reaching out to ppl who actually been in it or been around it like victors and victims so who has a better voice to speak out than I who has been accused plus what better platform to express my sincerely apology to the women of this world also I made my mom a promise b4 she leave us and I'm gonna live it to the fullest this gonna take each and everyone of us as Jamaican to make it happen but the hand picking of who should be apart or pointing fingers gonna take us nowhere from here folks! !